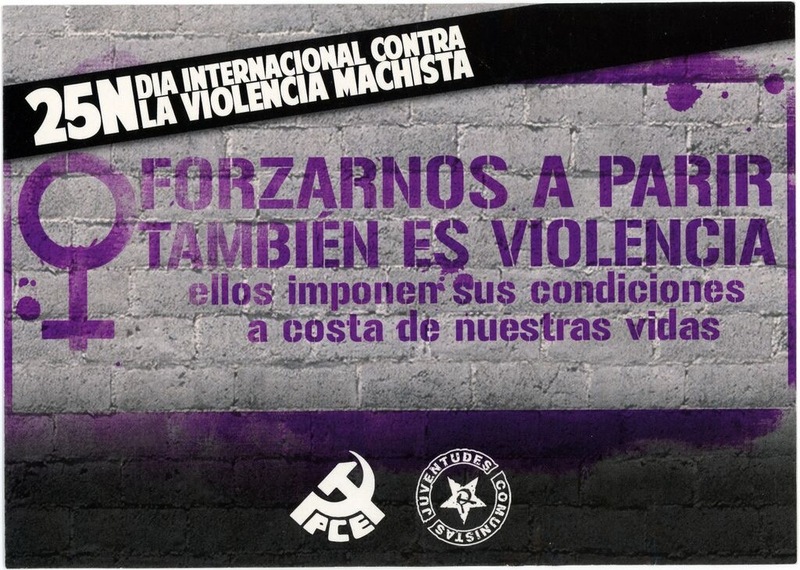 25N Día Internacional Contra La Violencia Machista -- Forzarnos A Parir También Es Violencia -- Ellos Imponen Sus Condiciones A Costa De Nuestras Vidas. November 25th National Day Against Gender Violence -- Forcing Us To Give Birth Is Also Violence -- They Impose Their Conditions At The Expense Of Our Lives. This sticker is set against a grey background with purple and white writing. It stands up for women's rights, including the right to abortion.